Jam or Fruit preserves refers to fruits or vegetables that have been canned for long term storage. 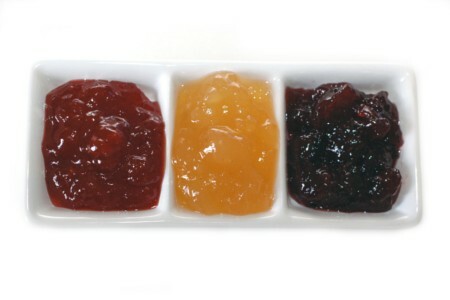 Jam contains both fruit juice and pieces of the fruit's flesh. The preparation of jam traditionally involves the use of pectin as a gelling agent, although sugar or honey may be used as well.